Two days ago I had boarded a train at Colwyn Bay in sunshine to arrive in Bristol four hours later in pouring rain. 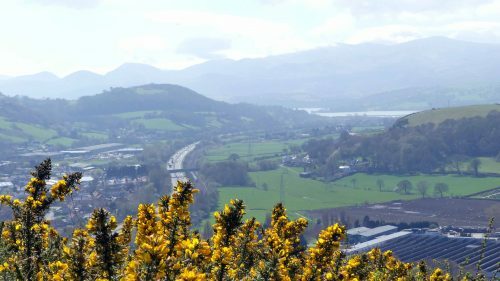 In these Isles we expect April Showers, but to time with my visit here to the South-West rain had been predicted for no less than 11 days straight! 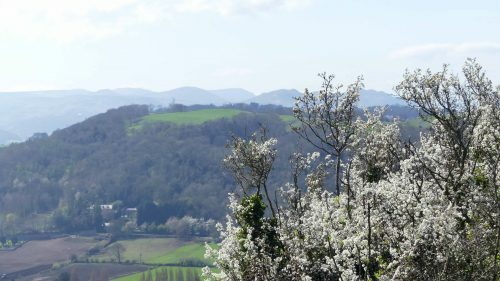 For the past two days the weather had done its best to fulfil that prediction, then lo and behold, this morning it gave us a reprieve and blessed the morning of the first day of this new month with welcome sunshine. 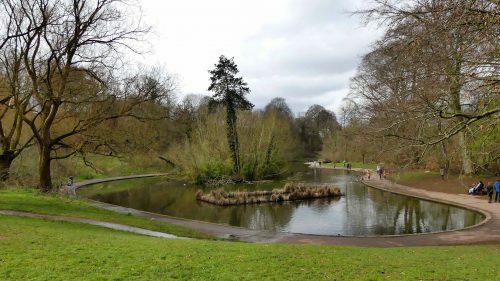 Quick to take advantage of the opportunity to escape the confines of the house, my son and daughter-in-law bundled their respective visiting mothers and two daughters into the car and drove us all to Eastville Park for some fresh air and exercise before the rain swept back in. 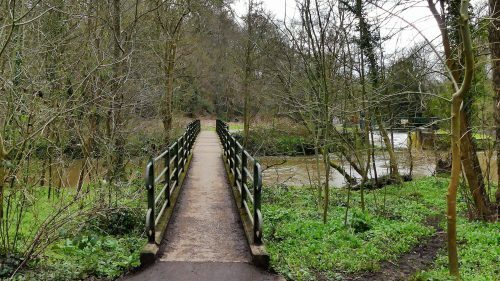 This initial part of our walk follows the river through Wickham Glen; there is woodland on the far bank and on the path side it passes by Wickham Allotments. 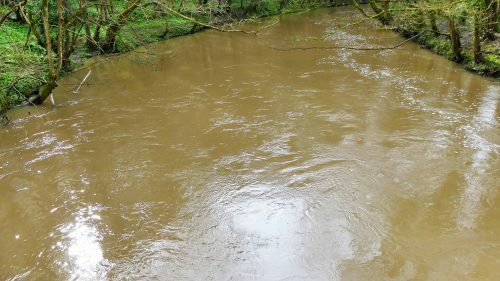 Following the recent heavy rain the river was full, and its fast flowing waters muddy brown. 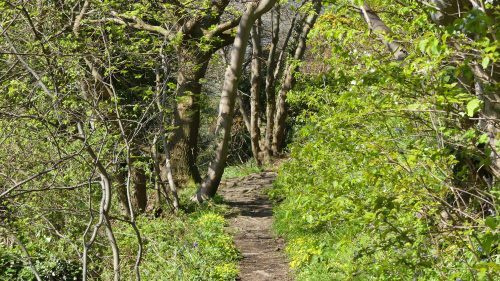 The path was wet and stickily muddy in places, but the sun was shining, there was fresh new greenery and birds were singing; the perfect Spring morning. 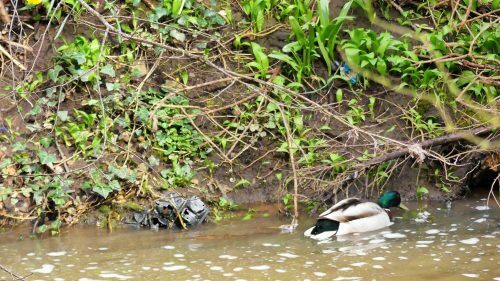 Against the far bank a Mallard Drake dabbled next to a piece of disintegrating black plastic that looked like the remains of planting pots, possibly blown there from the nearby allotments. 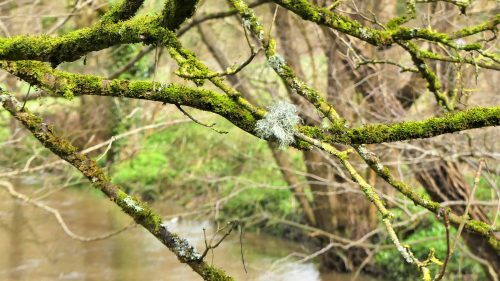 An Alder tree stretched branches bearing cones and catkins out over the river. 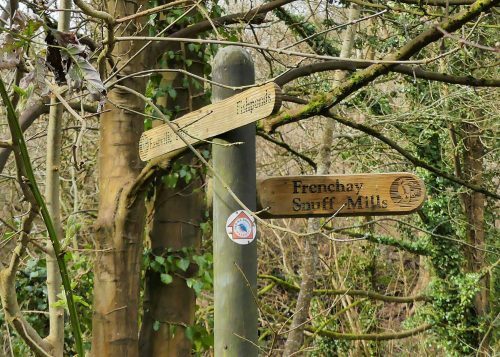 To continue along the Frome Valley Walkway from here you would follow the signpost in the direction of Frenchay and Snuff Mills. 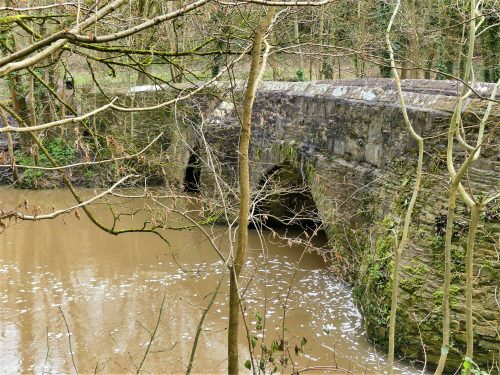 We were heading for Eastville Park though, so turned right to cross the historic Wickham Bridge, a lovely medieval stone bridge which is Bristol’s oldest bridge and reputedly used by Oliver Cromwell, It is now Grade 11 listed. 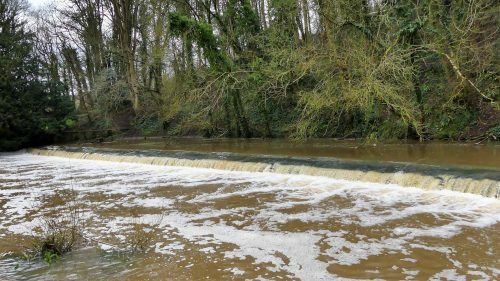 The river falls dramatically, more than 50 feet, between Frenchay Bridge and Eastville Park which made it perfect for operating water mills. 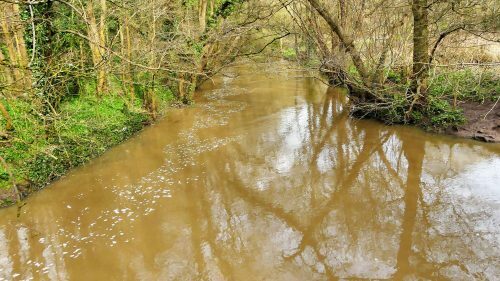 There were once six mills along this stretch of the Frome Valley, most of them working as corn mills. 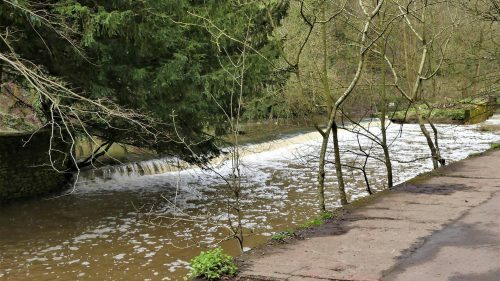 Now all that remains as evidence of their presence are the weirs. 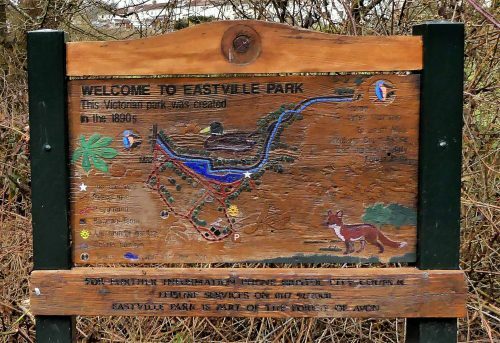 Eastville Park is a large Public Park that extends over some 70 acres of land, and is located just to the east of the M32. 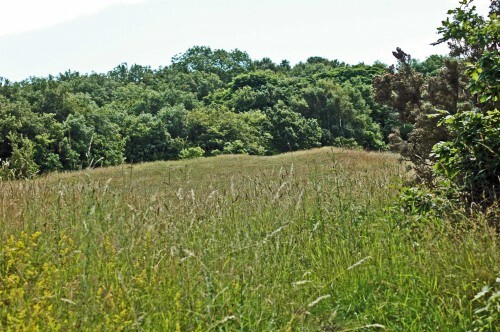 The land was originally agricultural land of the Heath House Estate owned by Sir John Greville Smyth of Ashton Court and was purchased from him by the Council for £30,000 in 1889 in order to provide a ‘People’s Park’ – a green space for those living in St Philips and the eastern suburbs of the city, where social and environmental conditions were poor. Creating the Park was a huge undertaking begun in 1889 and taking around five years till 1894, to complete. Existing hedges were taken out, boundary walls repaired, paths laid out and a hundred seats installed. 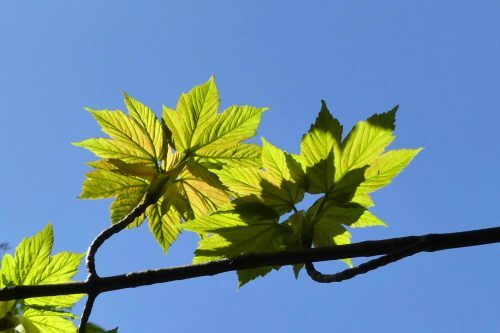 Wisely, existing mature trees were retained and walkways were lined with further plantings of limes, horse chestnuts and fast-growing London planes. 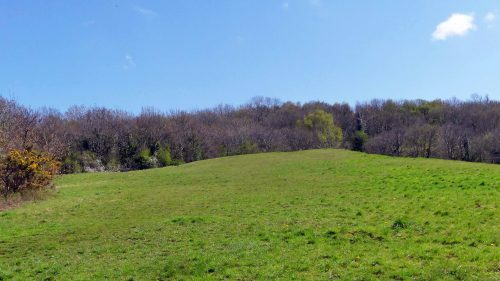 Interestingly, the grass areas were managed by a mixture of sheep grazing and mowing, a common practise at that time that is still used today in some Nature Reserves. then leads past the impressive Colston Weir. There have been recent reports of an Otter being sighted here. 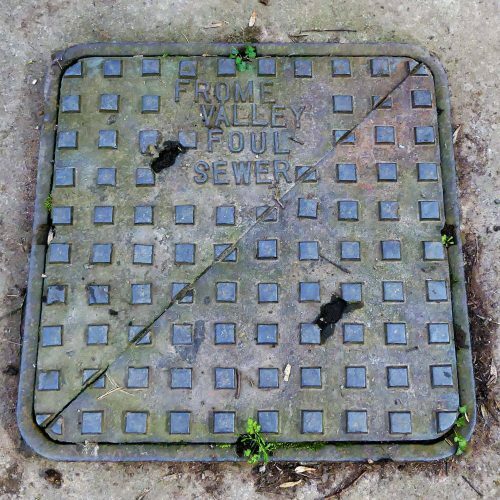 Not a pleasant thought in such a beautiful place, but this drain cover reminds that the Frome Valley Sewer follows closely alongside the river before finally ending at the Bristol Sewage treatment works at Avonmouth. 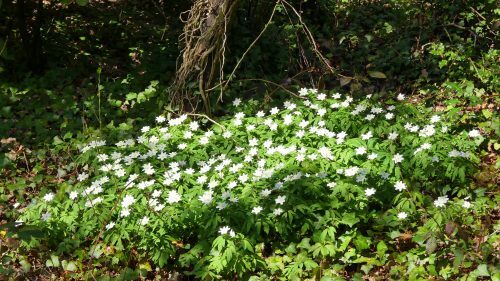 A pleasanter sight was a clump of White Deadnettle, although it had clearly taking a bit of a battering as its petals were torn and its leaves mud-spattered. Before the flowers appear the plant looks a little like the Common Nettle, but a closer look shows there are no stinging hairs hence the ‘dead nettle’ in the name. 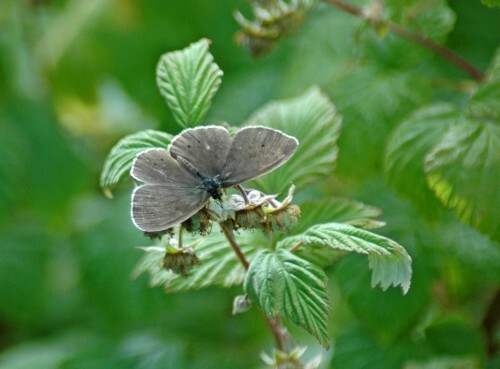 The lack of sting is also thought to have brought the plant’s other common name of White Archangel. 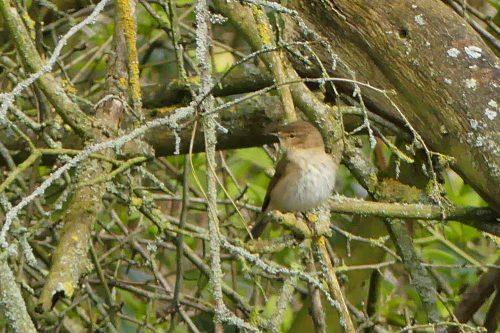 We heard a Wren and watched it as it flitted around in vegetation very close to the water. 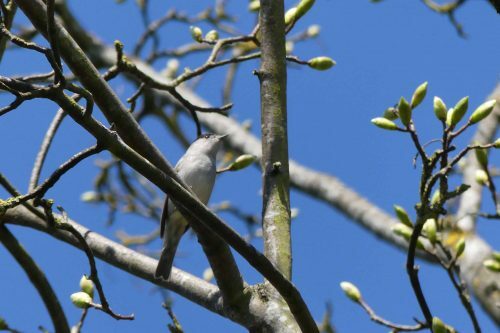 Another Alder tree gave me the opportunity to get a closer look. 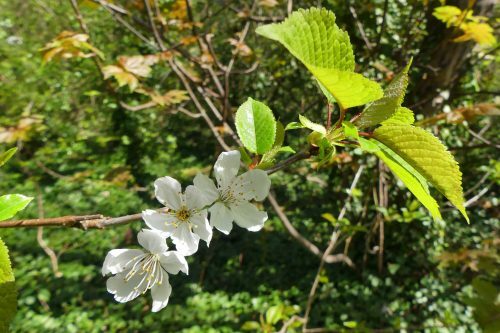 The tree’s flowers are on catkins which appear between February and April. 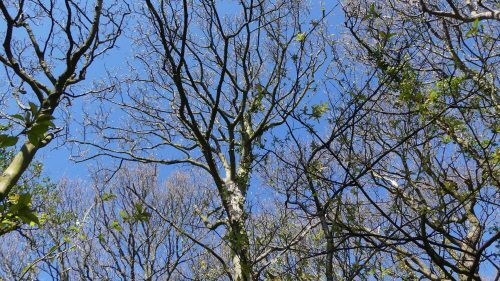 Alder is monoecious, that is both male and female flowers are found on the same tree. Male catkins are yellow and pendulous, measuring 2–6cm. Female catkins are green and oval-shaped, and grouped in numbers of three to eight on each stalk. 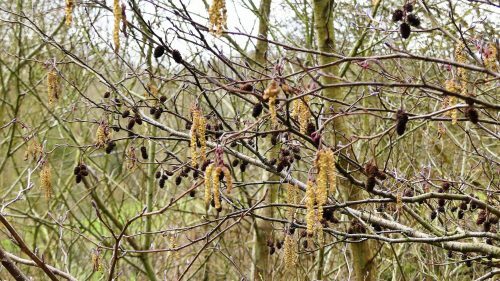 Once pollinated by wind, the female catkins gradually become woody and appear as tiny, cone-like fruits in winter. 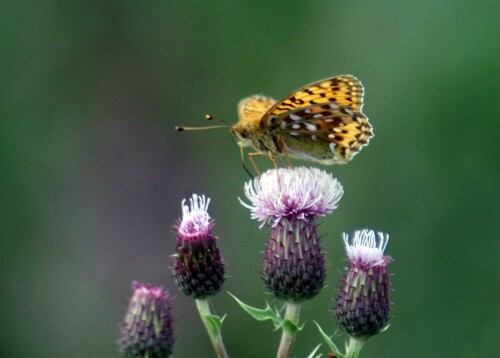 They open up to release seeds, which are dispersed by both wind and water. 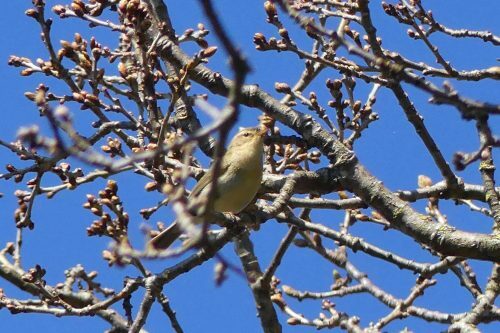 The small brown cones stay on the tree all year round. The lake was added as a feature a few years after the Park was opened. It was dug out in 1908 and 1909 from an existing water meadow with labour provided by ‘unemployed applicants’, under the Distress Committee’s Labour Bureau. 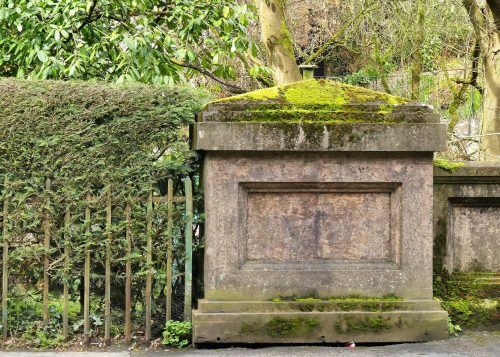 It was constructed to a Serpentine plan, a design made popular by the famous landscape gardener, Capability Brown. The intrigue of its shape is such that wherever you stand on its edge, you can’t see the lake completely; there is always some part snaking out of view. 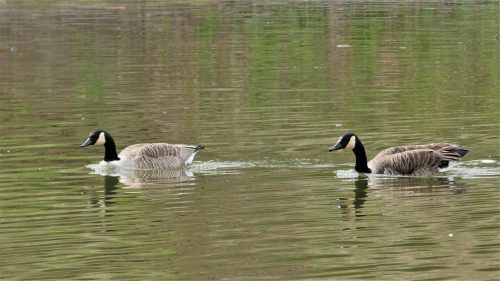 Nowadays it is considered to be one of the best public park lakes in the country. 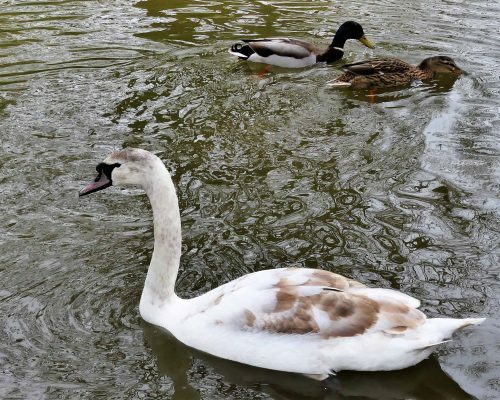 The lake is not just attractive for people to look at, it’s presence also draws in a good variety of species of birds. 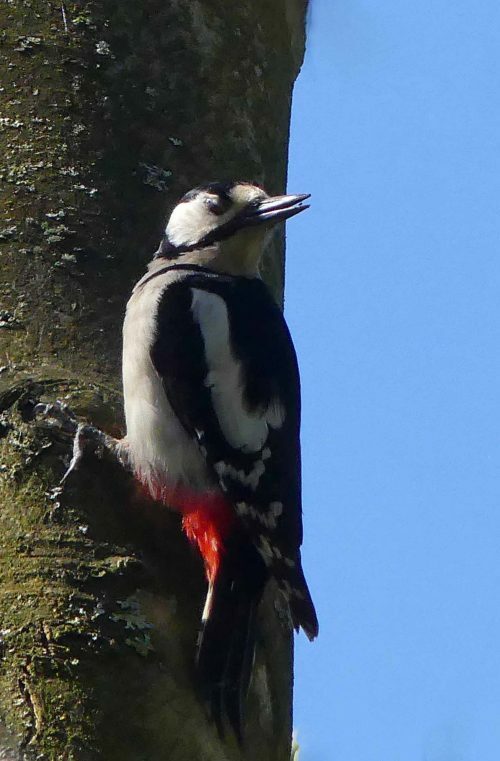 First to attract attention was a flock of noisy Corvids that flew into the trees to left of the lake. 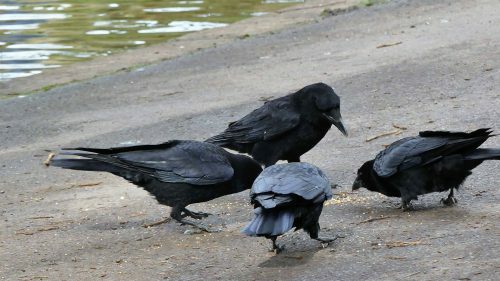 At first I wondered if they might be Rooks as there were a good number of them, but a closer look made them Carrion Crows, maybe juvenile, non-breeding birds. 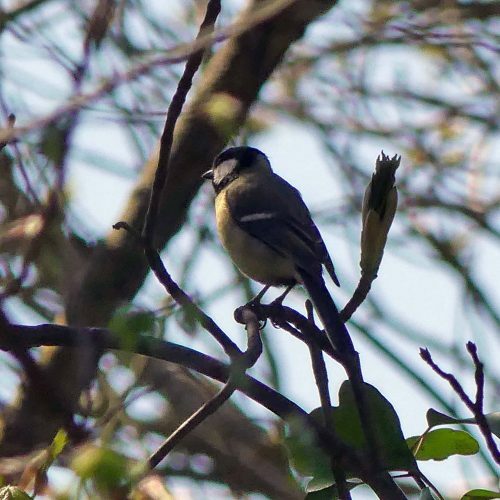 There’s a densely planted small island in the centre of the widest part of the lake, and as we passed a little brown bird darting in and out from a tree branch reaching over the water caught my attention. 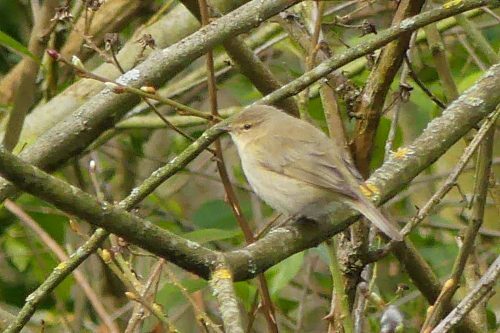 Clearly a warbler, it was either a Chiffchaff or a Willow Warbler, most likely the former, but either way my first sighting so far this year. 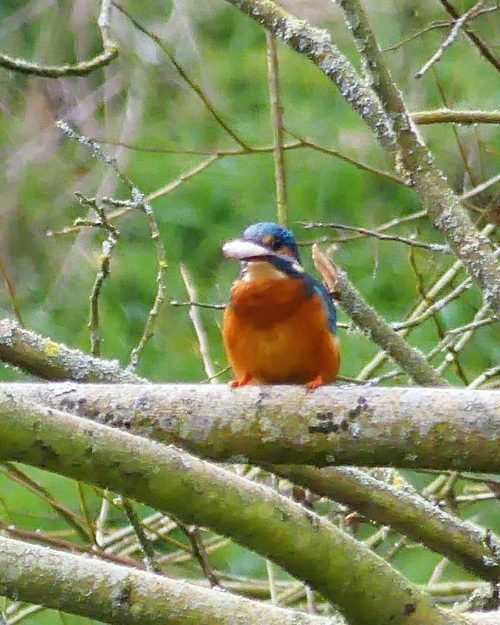 If I hadn’t zoomed in on the warbler I may have missed a rare treat, despite his jewel-bright colours– a Kingfisher! 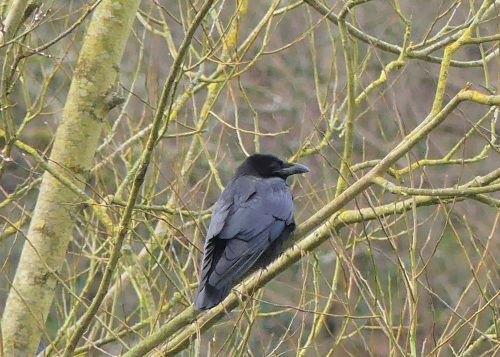 It was quite a distance away and was sitting perfectly still on the branch of a willow tree, intently studying the water below. 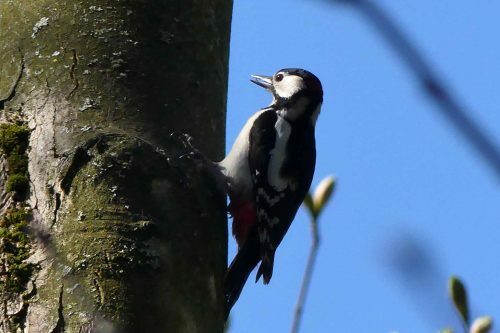 After a moment or two it changed position, moving towards the end of the branch to scan the water immediately below, his long dagger-like beak pointing down, preparing to dive. It dived so fast I missed it! I caught the splash as it entered the water, then a split second later it was back up on a branch with a sizeable fish clamped in its beak. 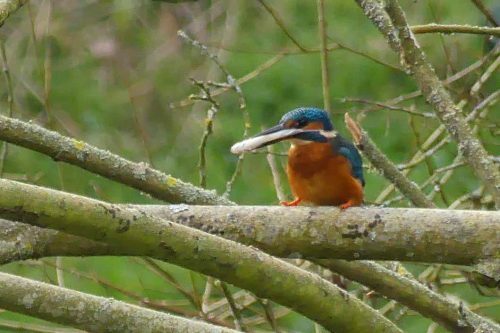 It sat for a few seconds more, jiggling the fish a little to secure its grip, but it clearly wasn’t going to eat it there and then: Kingfishers always consume fish head-first. 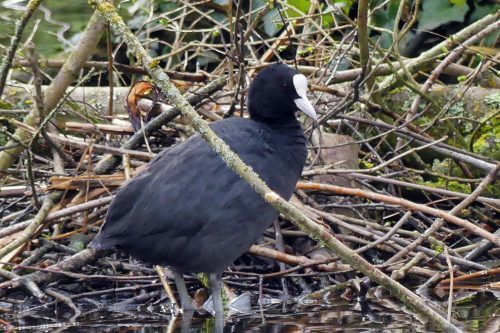 Perhaps it intended to enjoy its meal somewhere less public, or maybe it had a mate that needed feeding; the birds’ first clutch of 6-7 eggs is usually laid late in March or early in April. Either way it took off carrying its prize in the direction of the river. 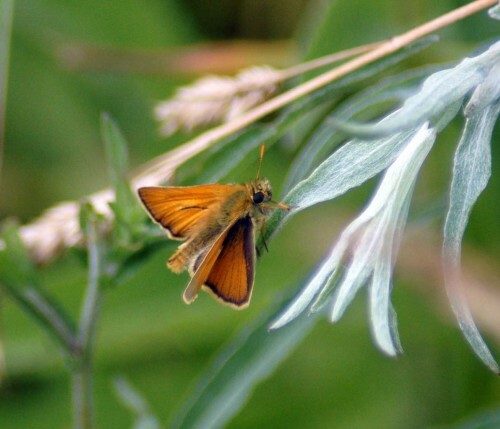 UK conservation status: Amber – because of their unfavourable conservation status in Europe. 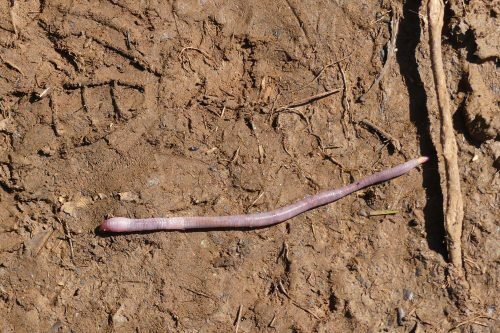 They are vulnerable to hard winters and habitat degradation through pollution or unsympathetic management of watercourses. 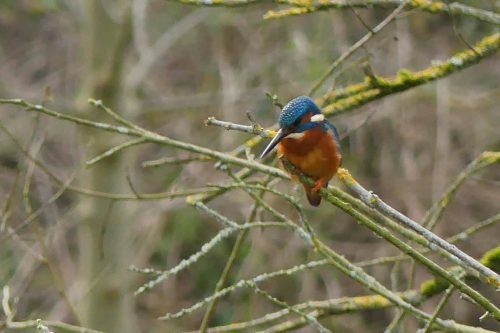 Widespread throughout central and southern England, but less common further north, Kingfishers are small but spectacular and unmistakable birds mostly found close to slow moving or still water such as lakes, canals and rivers in lowland areas. 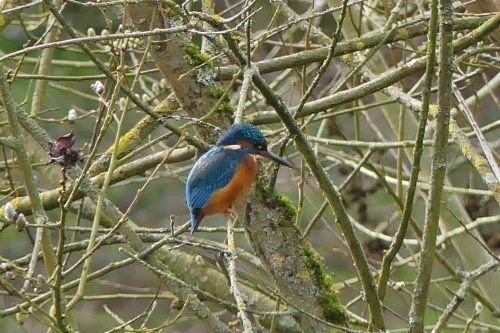 They fly fast and low over water, hunting fish from riverside perches. In total contrast, in plain black and white and far more common, my next spot was a Coot. 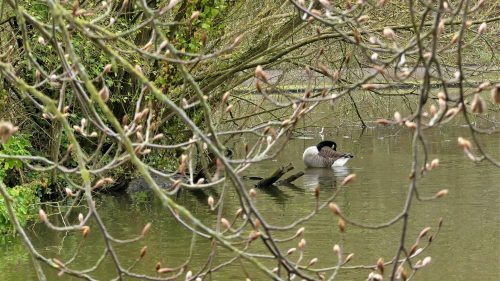 Then a preening Canada Goose spied through tree branches with bursting buds. to join a group of his peers that were already tucking in. 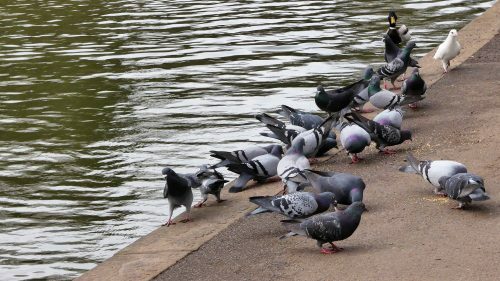 What would a Park be without a flock of Pigeons? A male Mallard paddled in to see what they had. 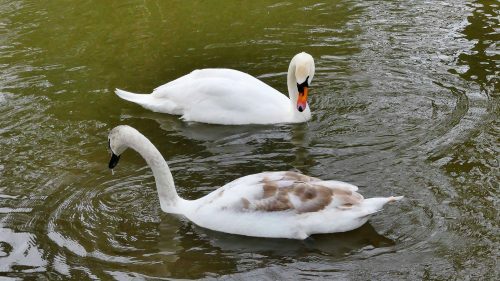 He turned and joined his mate and they clearly decided there was nothing in it for them so set off to dabble elsewhere, passing a juvenile Mute Swan on its way in. 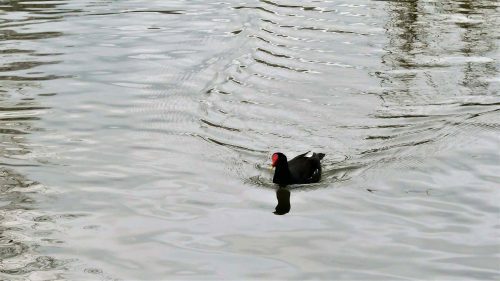 A late-coming Moorhen paddles in rapidly creating an impressive wake for such a small bird. 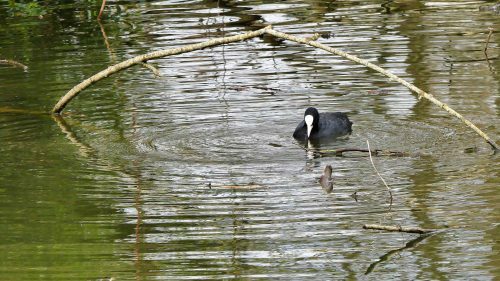 Cousins of the Coots, Moorhens are smaller and are a little more colourful with a bright red and yellow beak and long, green legs. A beautiful Weeping willow tree cascades down gracefully to touch the surface of the water. Often planted inappropriately, it was nice to see one in the ‘right’ place. 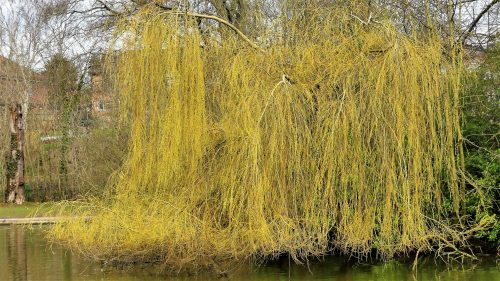 I think this one may be a Golden weeping willow, which is so named for its bright yellow twigs. We walked around the curve of the bottom of the lake and up along the other side. 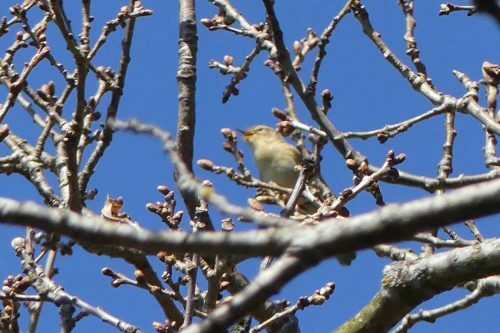 At the top once more there were more Chiffchaffs darting out after insects, with one obligingly confirming its identity with its distinctive song; a wonderful sound that for me announces that Spring is here. 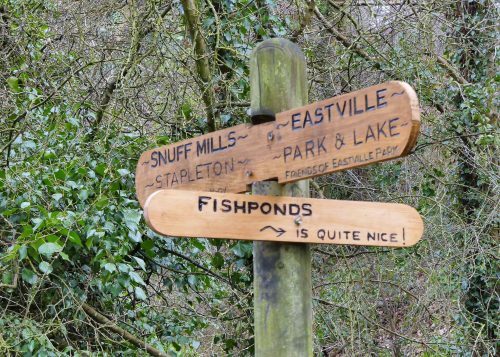 A signpost with a touch of humour that I’d missed on the way to the Park informs that Fishponds is quite nice! No doubt enhanced by the proximity of this lovely green space. Celandines were one of the few wildflowers I saw blooming. 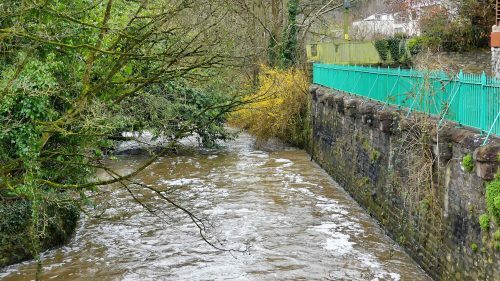 A view of Colston Weir from its other end. 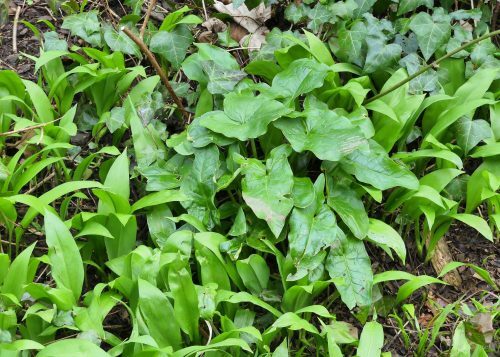 Leaves of Arum and Wild garlic are well-grown. 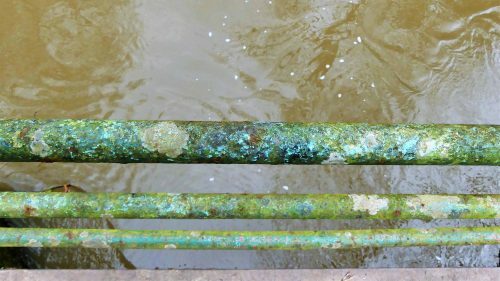 Crossing back over the footbridge I noticed copper pipes running along its side, attractively encrusted with lichen and turquoise blue verdigris. 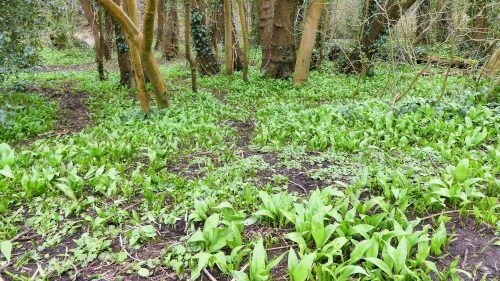 Back in the Glen, Wild garlic extends beneath the trees. Already releasing its pungent aroma, it won’t be long before it’s in flower. 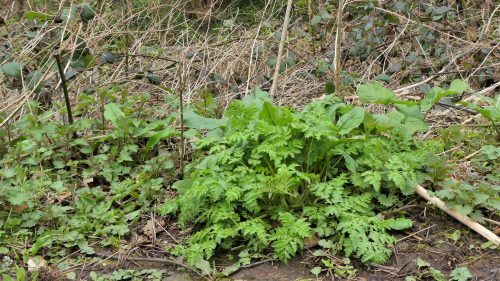 Cow parsley and more Arum leaves form a prettily contrasting patch of leaves. Crossing the bridge to get back to the car we stopped to look upstream over its side. 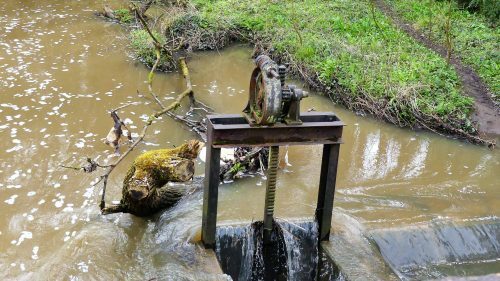 There’s an interesting piece of winding gear here that probably operates a sluice. I’m always attracted by such pieces of machinery, probably because I had an engineer for a Father who loved to explain how things worked! 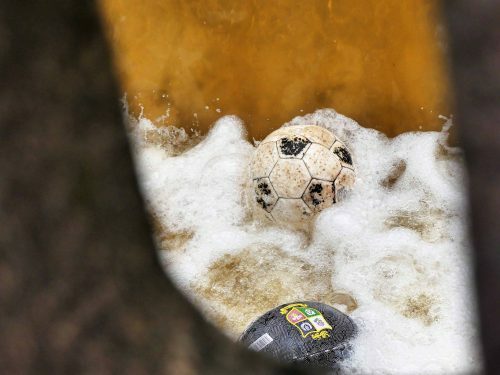 I also have a Son with an eye for the quirky – he spotted this random scene of a football and a rugby ball trapped against the stonework of the bridge and forced to play together in the foamy water. 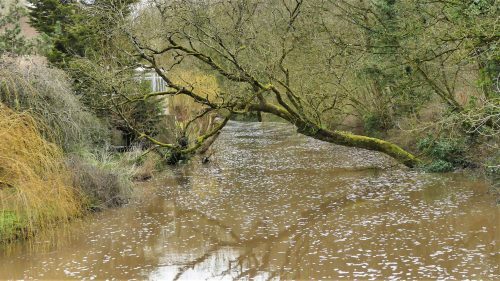 It seems more fitting to finish this post as I started it though, with a view of the Frome, looking upriver this time. In the meadow the grass is long and beginning to turn golden brown as it sets seed. 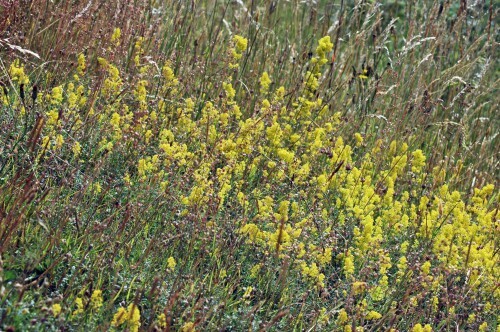 Bright golden yellow patches of Lady’s Bedstraw, scented like new mown hay catch my eye. 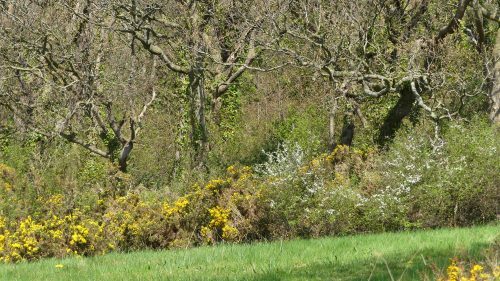 At this end of the field there are more brambles and I spot several dark brown butterflies flying low down along the length of them. It was a while before any settled for long enough to see properly what they were. As I hoped, some were dark, chocolatey brown Ringlets. 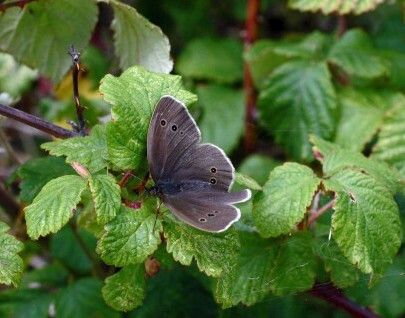 One Ringlet male was clearly patrolling a territory. 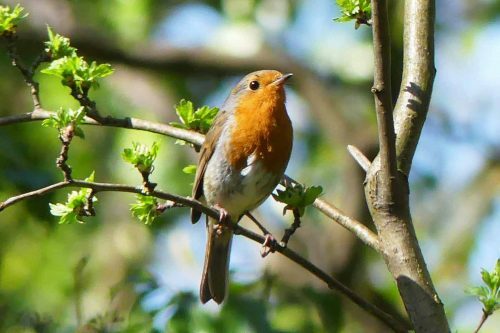 The brambles fill a corner of the field; he was flying to one ‘end’ of the patch, turning around, flying to the other end, then where the bramble curves around the corner he cut across to the other side of the track, flitted a short way through the long grass then back across the track to the brambles. 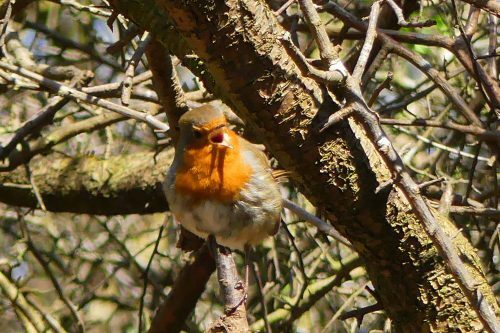 Occasionally he paused for rest or to skirmish with intruders. 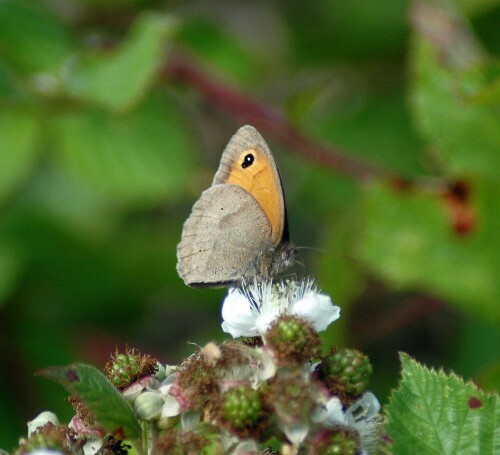 As well as Ringlets there were Meadow Browns, some of which were also coloured dark brown, hence my initial hesitation identifying the Ringlets. 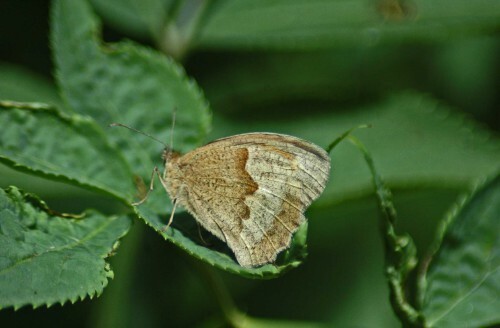 It’s quite unusual to see Meadow Browns resting with their wings fully open and it is interesting to see how variable this species is in size and colouring. 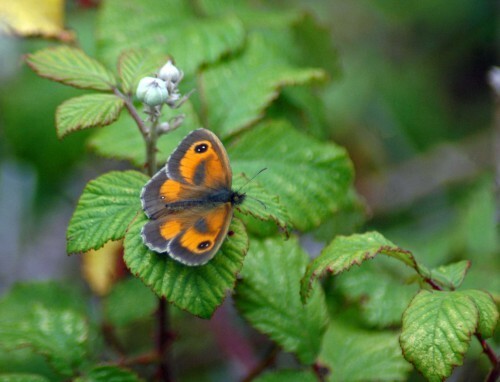 I was pleased to see a lovely fresh Gatekeeper here too, my first one for this year. 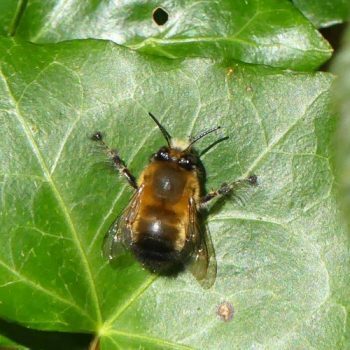 This one was a male; he has dark scent scale patches in the centre of the forewings which females don’t have. 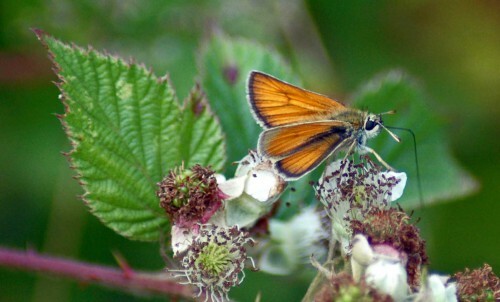 In the opposite corner of the field there are more brambles; there were more Meadow Browns here and little golden brown Skippers that happily are abundant here and that also occur in other nearby locations, particularly on the Little Orme. There were a good number of these lovely little butterflies flitting about, expertly manoeuvering at speed between the long grass stems. 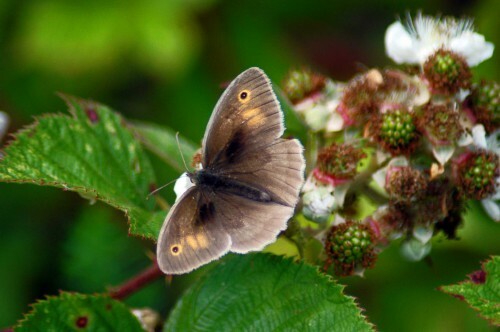 Ringlets are not widespread throughout the site, but rather occur in colonies in a few different locations. 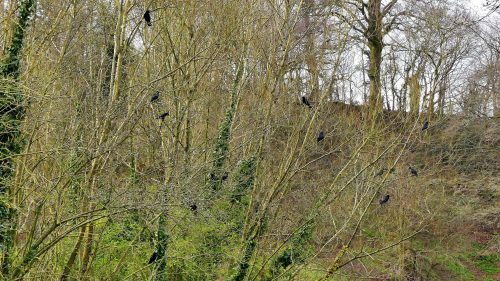 I walked on up past the top end of the field where I have found them in previous years, again on brambles. 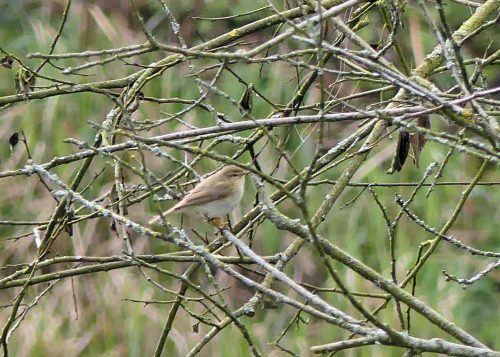 I was pleased to see there were; maybe half a dozen individuals, mostly flying around in the long grass in front of the brambles. Finally one flew up to feed on one of the last remaining flowers. 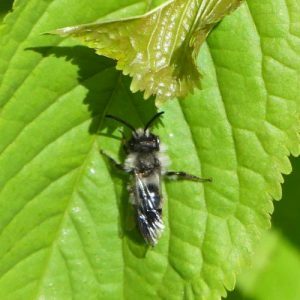 I was wondering what there was for the butterflies to feed on here now the bramble flowers are over, then saw one fly up onto a nearby oak tree. A closer look revealed it appeared to be feeding on something on a leaf surface, or maybe there were a few drops of moisture there. 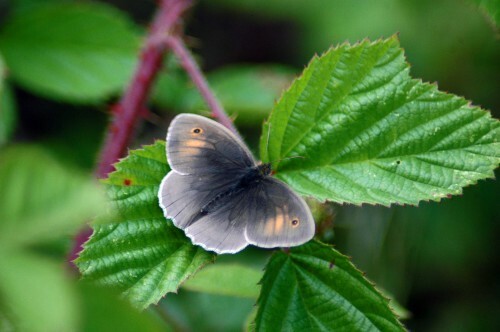 Last year I didn’t see any Ringlets at all, perhaps I missed their rather short season, which is just July-August, or maybe there were only a few which I overlooked. 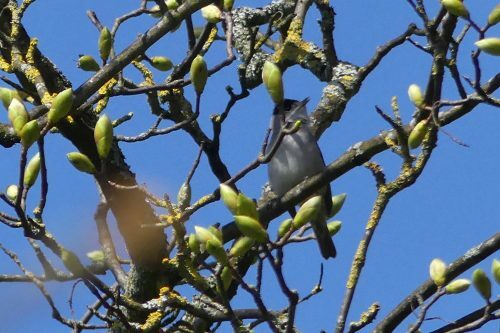 As they are here now there must have been some to generate this year’s brood. 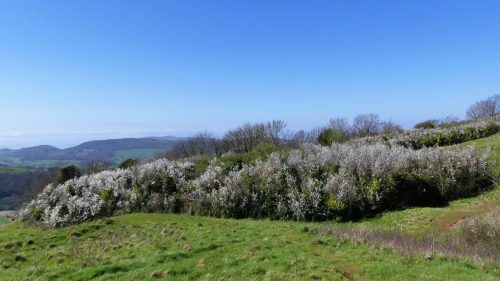 Now I wanted to know if there were any to be found in yet another spot I found them in the year before last, which is at the bottom of the ‘downland’ slope that leads up to the summit of the hill. Happily, there were indeed some there too. 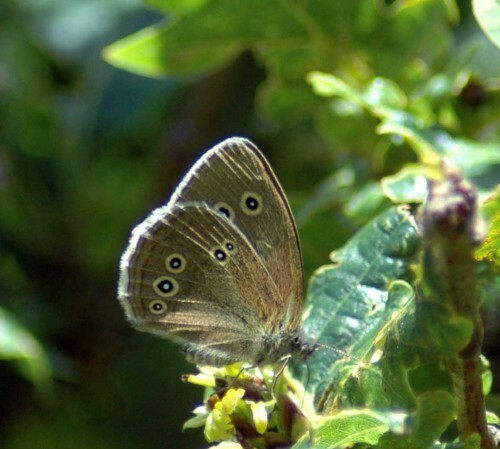 So, a good year for Ringlets. 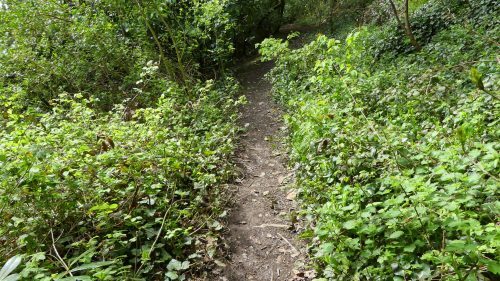 Emerging from the woodland onto the steep slope I had caught sight of a flash of orange flying over a stand of Rosebay Willow Herb, so headed off now to investigate that. 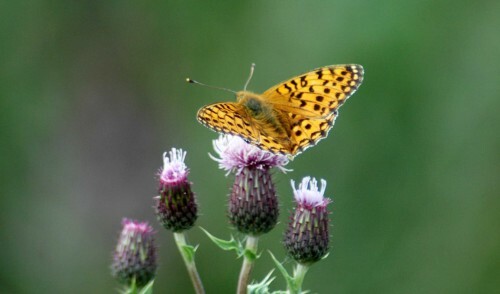 It wasn’t long before I saw more orange flashes of speeding Dark Green Fritillaries, the most special butterfly treats of this reserve. This patch of the hillside and sometimes a spot on the other side of the hill are the only places I have seen them, Colonies are more plentifully populated some years than others. 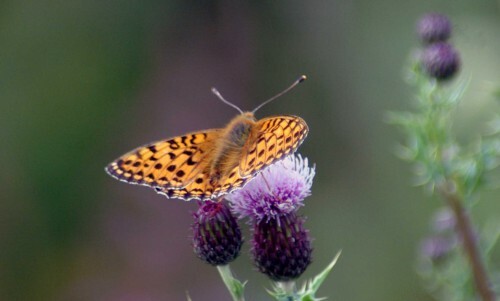 The fritillaries were feeding mainly on thistles, for want of anthing much else. 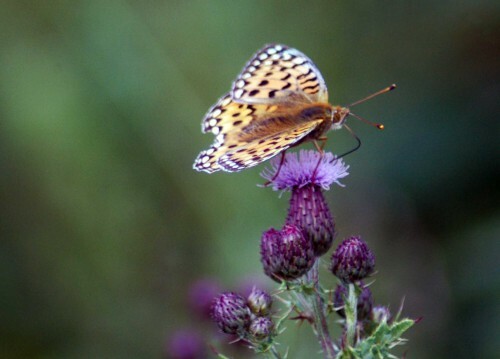 They would also feed on knapweed, but it’s not quite out yet and scabious, of which there is only a little flowering nearby. There were perhaps 10-12 individuals, some faded, others much fresher. 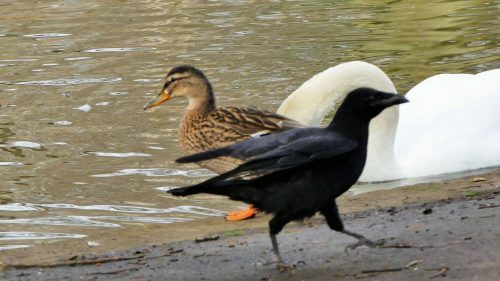 They are strong, fast flyers and glide on flat wings. 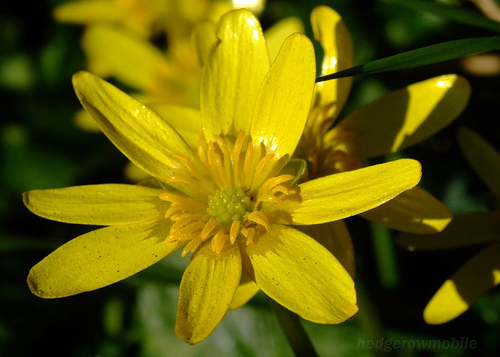 Lesser Celandine- Ranunculus ficularia, also known in English as pilewort, small celandine, smallwort, figwort, brighteye, butter and cheese. In Welsh it is Lygad ebrill. 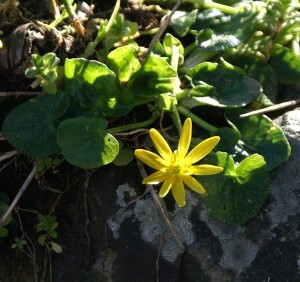 The Lesser celandine has been one of my favourite wildflowers since childhood. 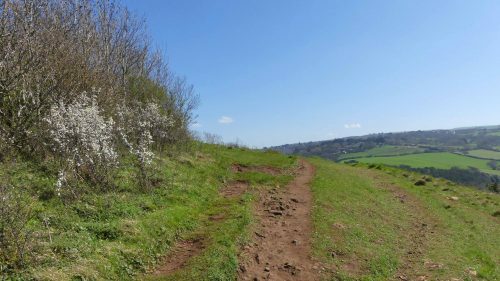 As a child growing up in Northamptonshire, a part of my walking route to school included a green lane. 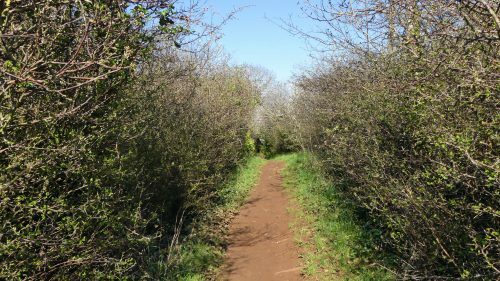 This was a narrow pathway with grass verges backed by hawthorn hedgerows and used as a short-cut to the village by anyone walking or riding a horse or bike. 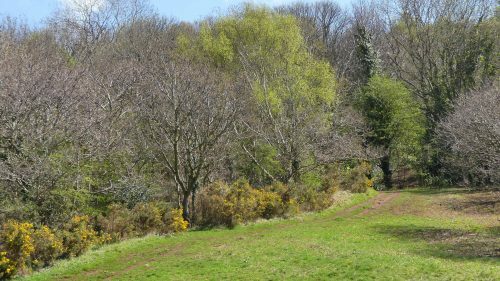 Behind the hedge on one side was a small field that was often boggy and there was a drainage ditch on the lane side to prevent it flooding. Needless to say it was damp there and generally shady; the perfect place for celandines to thrive. They were the first of the wildlowers to appear here and I looked forward to their appearance avidly. 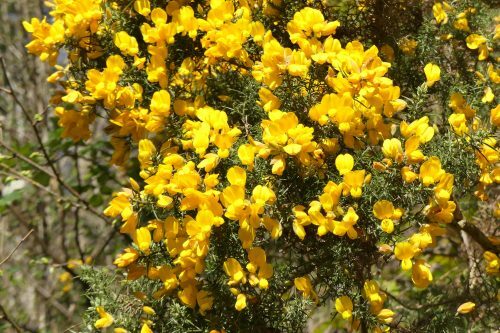 I used to think their shiny golden yellow faces captured some of the sunshine whilst it shone, then held it within their tightly closed petals to keep them warm on cold dull cloudy days. 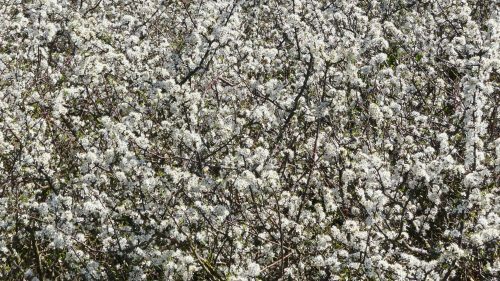 I learnt that these were not flowers to take home to my mum though, as they closed up when picked, but I remember how the sight of them used to gladden my heart, as it still does, signalling that the spring was on its way. 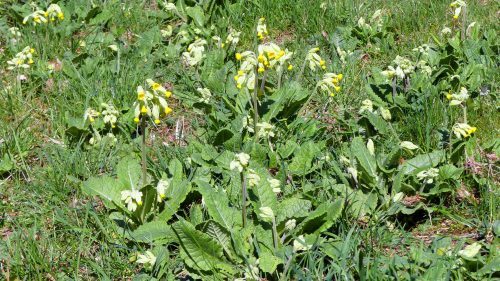 The plant itself is small (5-30cm tall). 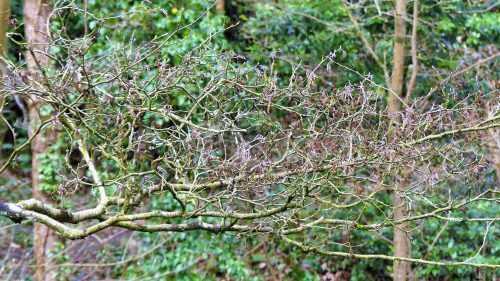 The dark green, shiny, heart-shaped leaves grow spirally arranged around long weak stalks from the base. 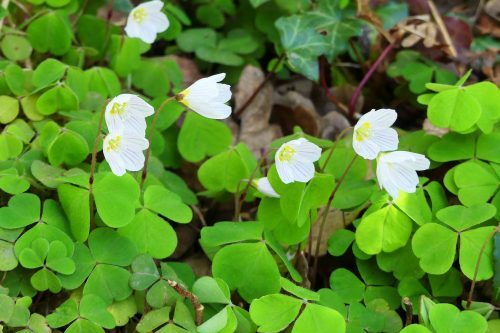 The leaves are sometimes mottled with light or dark markings; they lie flat on the ground unless held up by surrounding plants.The flowers are bright, glossy yellow, fading to nearly white at the petal base as they age. 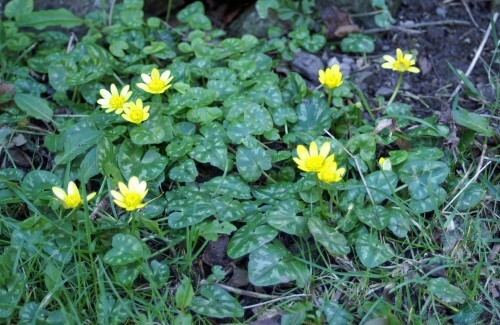 The Lesser celandine is one of the first flowering plants to appear at the end of the winter (February to May). 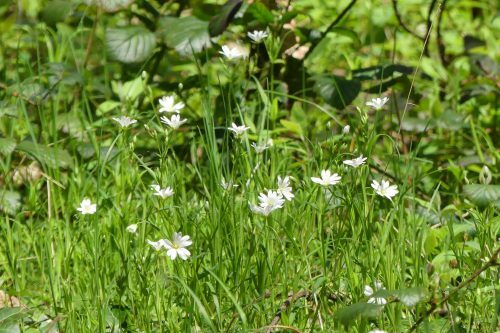 Gilbert White, the famed author of ‘The Natural History o Selborne’ reported that the plants came out on February 21, but it is more commonly reported to flower from March until May, and is sometimes called the “spring messenger” as a consequence. 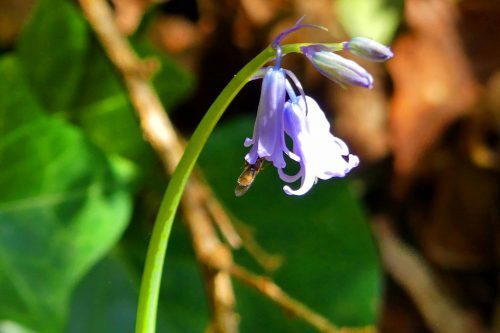 The flowers close just before it begins to rain, and are pollinated by bees, such as the Buff-tailed bumble bee, Red-tailed bumble bee, flies and beetles, but very few seeds are typically set. 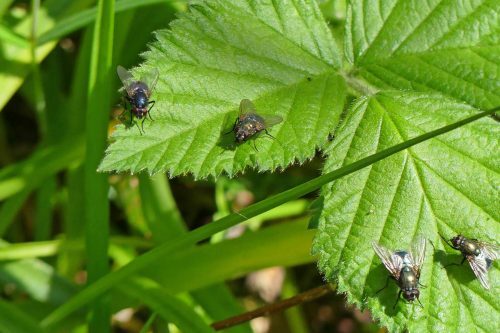 They open when few insects are around so not many seeds are produced and spread is mainly vegetative by tiny bulbils which develop in the leaf axils and these drop onto the soil as the plant dies back. 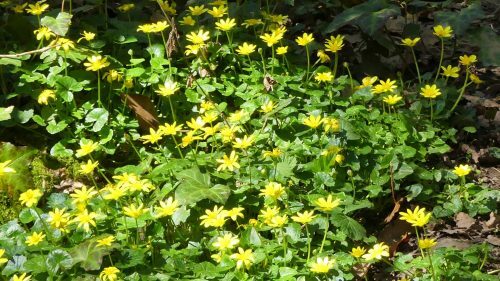 The plant’s common name, lesser celandine, was mistakenly given to it when it was thought to be one and the same plant as the true or greater celandine, to which it bears no resemblance except in the colour of its flowers – both being yellow. 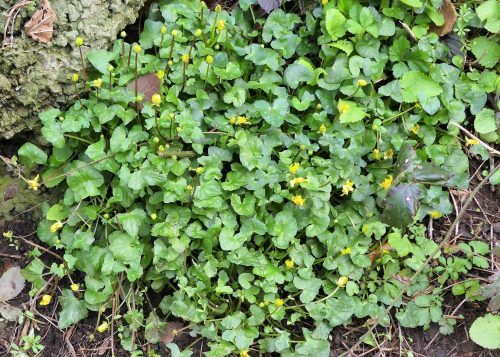 The word celandine comes from the Greek word chelidon, meaning swallow, the greater celandine coming into bloom when these birds arrive, and withering on their departure. The scientific name Ranunculus is Late Latin for “little frog,” from rana “frog” and a diminutive ending. 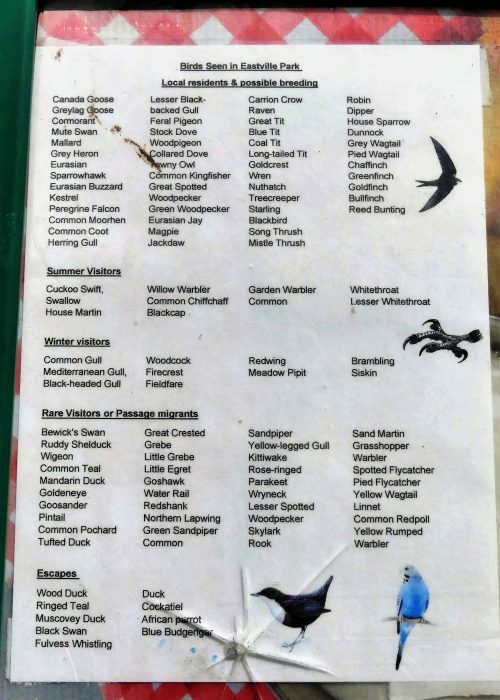 This probably refers to many species being found near water, like frogs. The plant grows from root-tubers, which are said to look like bunches of figs. 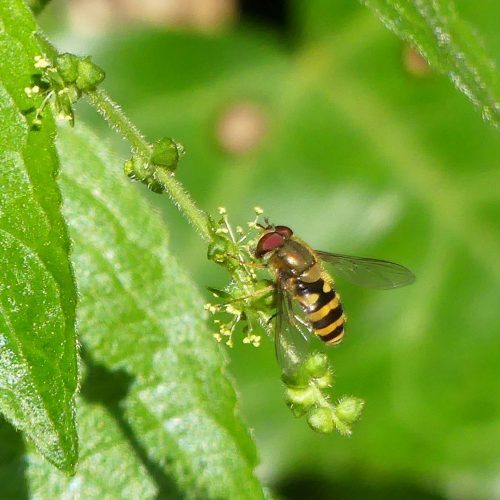 This explains the second part of the scientific name of the plant, ficaria, which is Latin for fig. In close self-shelter, like a Thing at rest. 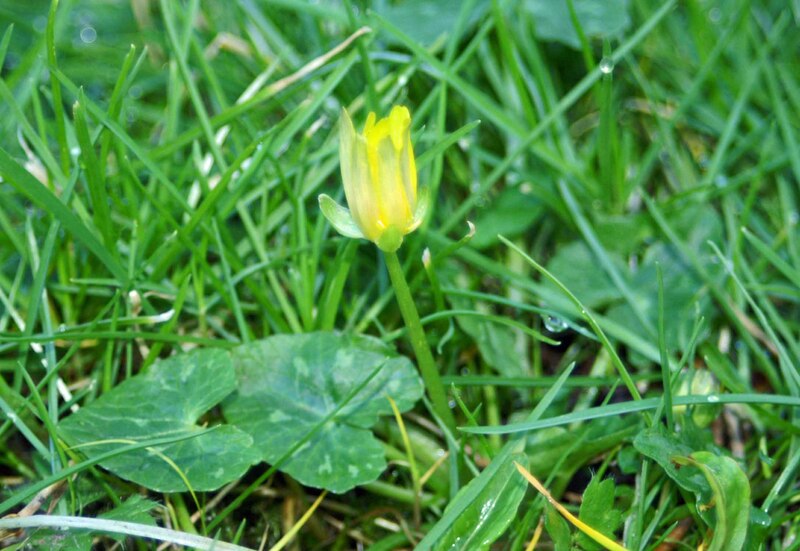 Upon Wordsworth’s death it was proposed that a celandine be carved on his memorial plaque inside the church of Saint Oswald at Grasmere, but unfortunately the Greater Celandine Chelidonium majus, was mistakenly used. 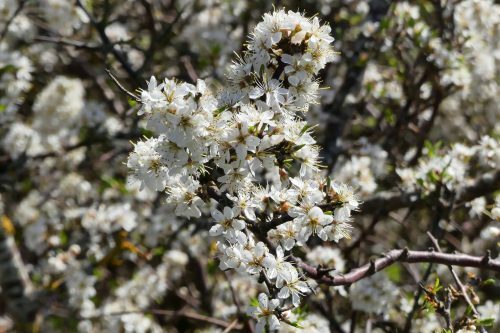 The plant used to be known as Pilewort because it was used to treat haemorrhoids. 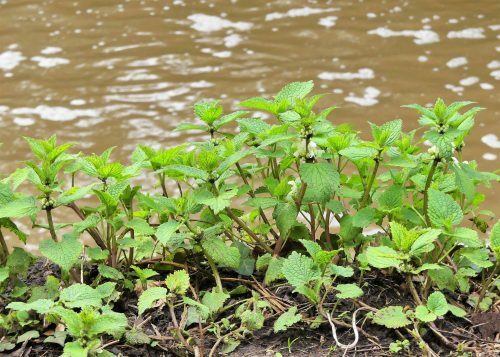 Supposedly, the knobbly tubers of the plant resemble piles, and according to the doctrine of signatures, this resemblance suggests that pilewort could be used to cure piles. The German vernacular Scharbockskraut (“Scurvyherb”) derives from the use of the early leaves, which are high in vitamin C, to prevent scurvy. 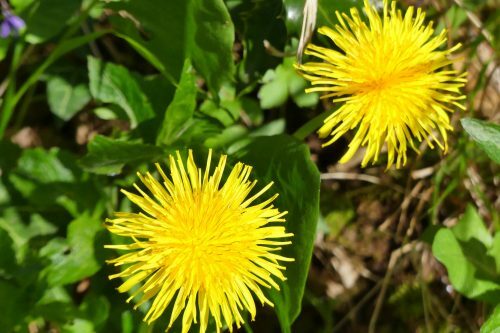 The plant is widely used in Russia and is sold in most pharmacies as a dried herb. 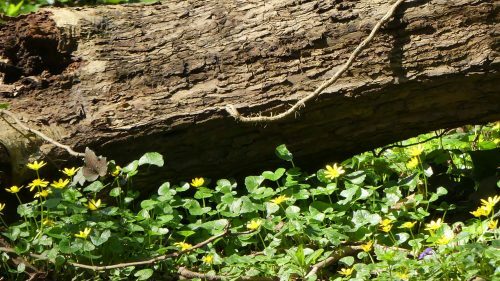 In many parts of the northern United States and Canada, lesser celandine is cited as an invasive species.